Saint Michael, Saint Gabriel, and Saint Raphael, Archangels. 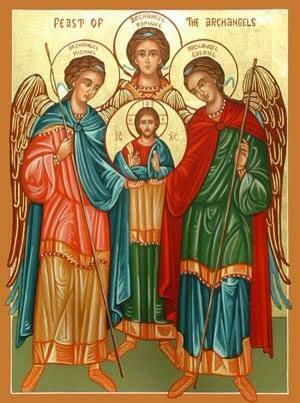 The liturgy celebrates the feast of these three archangels who are venerated in the tradition of the Church. Michael was the archangel who fought against Satan and all his evil angels, defending all the friends of God. He is the protector of all humanity from the snares of the devil. 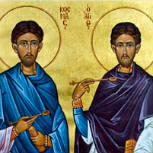 Gabriel announced to Zachariah the forthcoming birth of John the Baptist, and to Mary, the birth of Jesus. His greeting to the Virgin, “Hail, full of grace,” is one of the most familiar and frequent prayers of the Christian people. Raphael is the archangel who took care of Tobias on his journey. St. Michael the Archangel, defend us in the day of battle. Be our safeguard against the wickedness and the snares of the devil. May God rebuke him, we humbly pray. And do thou, O prince of the heavenly host, by the power of God, cast down into hell Satan and all the evil spirits who prowl throughout the world seeking the ruin of souls. Amen. 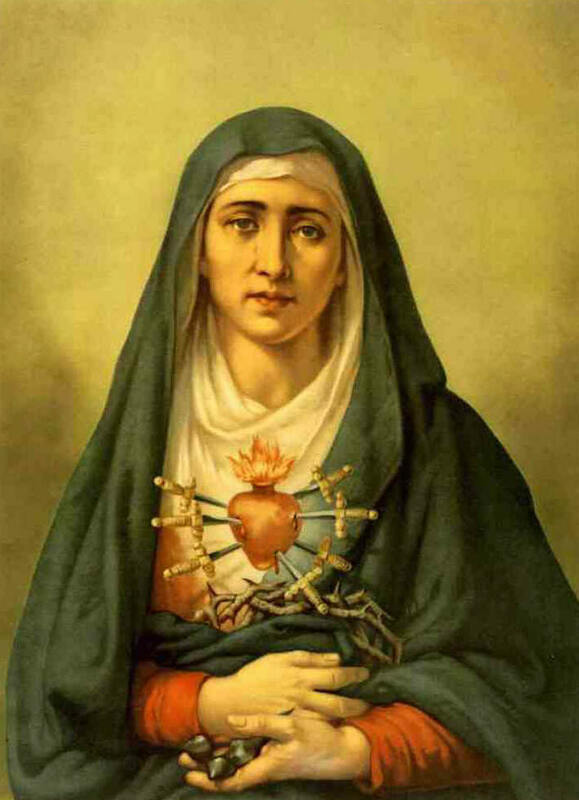 Nothing is known of their lives except that they suffered martyrdom in Syria during the persecution of Diocletian. A church erected on the site of their burial place was enlarged by the emperor Justinian. Devotion to the two saints spread rapidly in both East and West. A famous basilica was erected in their honor in Constantinople. Another famous basilica is to be found near the coliseum in Rome. Their names were placed in the canon of the Mass, probably in the sixth century. Legend says that they were twin brothers born in Arabia, who became skilled doctors. They were among those who are venerated in the East as the “moneyless ones” because they did not charge a fee for their services. It was impossible that such prominent persons would escape unnoticed in time of persecution: They were arrested and beheaded.